Opportunity comes to the person who is ready. We’ve listened to a true story from singers who came back as male vocal group ‘M Signal’, Kyunwoo (29) and Jeon Geunhwa (28). Their music life wasn’t going smooth, but windy. During that time, they patiently sharpened and polished their singing skill, and now opportunity came to that two people. 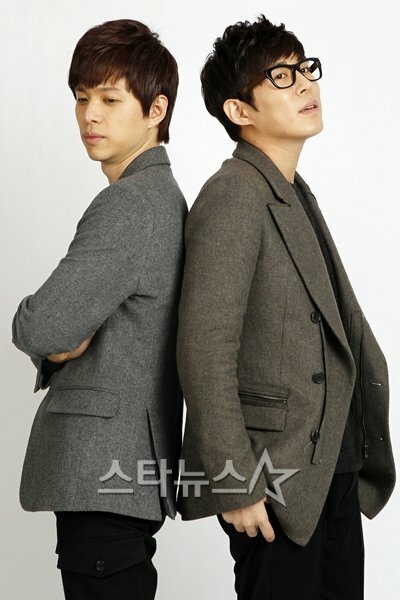 ‘M Signal’ (Kyunwoo and Jeon Geunhwa) released their first mini album ‘Even the Dress Hem’ at December 1st. At a glance, their name didn’t familiar in our ear, but after hearing over and over again, their name is somewhat familiar. Right. They have already debuted and are singers with ‘solid experience, solid skill’ after 7 years of experience. 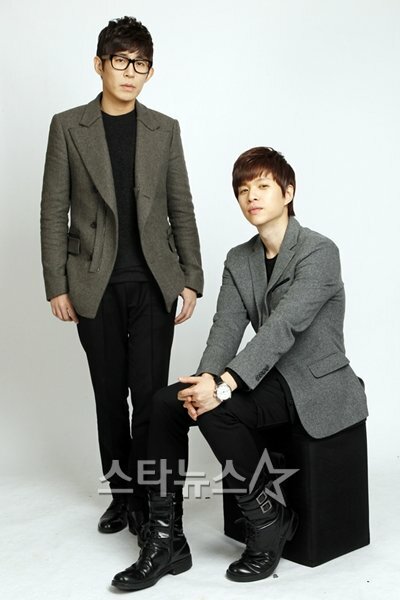 Kyunwoo and Jeon Geunhwa have already debuted in 2005 and did solo activities separately. However, the two people didn’t able to walk into music life splendidly. From the time he debuted, Kyunwoo released his first full album titled ‘Words of My Tears’. Although he is recognized by his outstanding vocal ability, at that time, good company was rarely exist, thus it’s hard for him for being active. As for Jeon Geunhwa, at that time, he debuted under the name of ‘Geonhwi’. Although he progressed as a member of indie band ‘Nine Street’, he was unable to excel into a bigger scene. However, he didn’t give up his dream of being a singer. He waited for the time to come as he being a vocal trainer in FNC Music for members of FT Island and CNBLUE. Similarly, the two people walked to a winding road. Since when it is, fate met them as ‘M Signal’. As a bill to delivering good signal, they ambitiously prepared for their first mini album titled ‘Even the Dress Hem’. It’s a song about a separation. But after the woman leaving, the man still wants to get her heart. In the song, Kyunwoo’s soft husky voice and Jeon Geunhwa’s sweet voice harmonizes well. “The title has been chosen prior to the melody and lyrics. The words choice for the title ‘Even the Dress Hem’ is ultimately sad, portraying somewhat hanging feelings. From this motive, the melody and lyrics are made. Also, Geunhwa’s voice seems to stimulate maternal instinct (smile).” (Kyunwoo). “The colour of Kyunwoo hyung’s vocal and mine is a bit different. Kyunwoo hyung’s voice is a bit deep and has wide range. As for me, my voice is light and delicate.” (Jeon Geunhwa). Not only their voice colour, their music taste, appearance, and even blood type are somewhat different. Nevertheless, the two men match each other well. More than memories all of this years, in the future, they are looking forward to work together in reaching their dream. The two people share the same ambition to introduce ‘M Signal’ to public. As the essential thing for singers, they want to win the stage with music. “We don’t think too much about our ambition. This time, it’s good enough if we can be more and more recognized through our activities. If this time we don’t do well, we don’t know what we will do. Sometimes, even my relatives don’t know that I’m a ‘singer wannabe’ (smile).” (Jeon Geunhwa). “At the end of next year, I’ll be enlisted to army. This time, it’s important for me to promote M Signal. Above all, as M Signal receives acknowledgement through our song, I would like to continue this activity after returning from army. When I’m in the army so I won’t be there, M Signal will still exist.” (Kyunwoo). This entry was posted in Interview and tagged interview, m signal, msignal. Bookmark the permalink.